OBAMA'S GUESTCHAMBER DRAMA -- A RIPOFF OF THE LAST SUPPER? Can barely cover one topic when another comes along. While writing intently on the Louisiana sinkhole as well as stopping to write a post about the dollar on Wednesday, Obama pulled another one of his “I wanna be like Jesus" moments. CNN’s Jim Acosta reported on President Obama’s “surprise dinner date” with a DOZEN GOP senators. Acosta said it was hoped that Obama’s “breaking bread” with the senators would lead to some “grand bargain” concerning increasing taxes. But one senator was saying “not so fast,” that this wasn’t exactly going to be a “kumbaya” or “come to Jesus moment.” What?? On one day we not only have a faux-Savior moment, but we have THREE characteristics of the Antichrist in play. Look at what was being battled out Wednesday. Dept. of Justice’s Eric Holder claims that President Obama DOES have the authority to kill Americans on American soil if President Obama feels it is justified. Rand Paul took to the floor in a 12-hour standoff with the White House over the legality of this presumed authority. The White House refused to respond. What is a drone but a device used to drop ‘FIRE POWER’ down onto someone who never sees it coming. That’s a problem. Or at least should be. And President Obama has “joked” about his authority to do this. Drones are weapons of war, and for Obama winning the Nobel peace prize in 2009 (for what? we all ask), his use of drones is too similar to Revelation 6:4. Joking about taking the Jonas brothers (peace) from the earth is hardly funny. But the lemmings laughed anyway. Of those three characteristics, the Bible has much to say, and, unfortunately for President Obama, those characteristics are also shared by Satan and Satan’s man, the Antichrist. The word “destroy” is used six times in connection with Noah. The very next situation in which it is used is in connection with Sodom and Gomorrah. “Destroy” is used seven times in the account of the destruction of Sodom and Gomorrah. Jesus in Matthew 24 reminds us that the days of the Antichrist will be like the days of Noah and Lot; they will be days of destruction. After Sodom and Gomorrah, “destroy” was next used in the account of Moses and the plagues that came upon Egypt and the purpose of Passover. The last plague, the “smiting of the first born” was a destroying plague. It was a plague of judgment, it was a destruction to humble Pharaoh. “Destroy” is something the demons acknowledge that Jesus has the ability/authority to do. While Jesus can destroy demons, that is not His purpose for men. Contrast this with the purposes and the designs of Satan. Yet millions reject Jesus, the Only Begotten Son of God, and worship Satan with their time, money, talents and souls believing that somehow there is some sort of “exemption” clause, that Satan couldn’t possibly want to destroy them. That is why it is said that Hell will be full of the deceived. 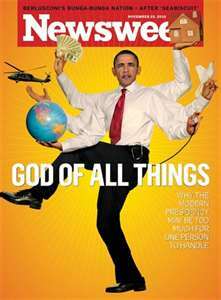 Interestingly, President Obama has been pictured as the Hindu god Shiva, aka The Destroyer. Shiva has another form he can take and that is of Hanuman, the monkey god pocket charm that Obama carries in his pocket. Hanuman is also known as the "god of thieves," (meaning he is the leader of the pack) especially in his Greek form of Hermes. When it comes to the word “devour,” many Christians will immediately recall 1 Peter 5:8 and it’s assocation with Satan . . .
By the way, these two verses are the only two verses in the King James that note that the Antichrist will make “war with the saints”; and they are the only two verses in which the words “war” and “saints” are found together. To make “war with saints” is to persecute them. President Obama, who says he is a Christian, has made it easier for his brothers and sisters in Christ to face longer prison sentences, up to ten years longer, if they are found guilty of saying something that makes a homosexual or lesbian or bisexual or transgendered person feel ‘threatened’ when he signed hate-crimes legislation into law early in his presidency. Though Jesus says explicitly in Revelation 2:10 that it is ‘the devil’ who will cast Christians into prison,that has not deterred President Obama from acting as his accomplice in the matter for his law does the exact same thing. We’ve already seen very publicly how Obamacare mandates require business owners to provide abortificent drugs to their employees so they can kill their unborn even if the employers have convictions otherwise. In recent days, I have linked to a number of articles in which attorneys FOR Obamacare have told those who are challenging the mandates in court that Obamacare CAN make business owners violate their own religious convictions. We’ve seen Obamacare throw down the gauntlet to the Catholic church and affiliated charities as well as to Bible publishers and Hobby Lobby. Obamacare fees for failure to implement the mandates are brutal and are forcing business owners to make a very serious decision, one with eternal consequences: kill the unborn or close shop. If that isn’t persecution, what is? The “left” can cheer these mandates, but it is to their own eternal damnation. In fact, I have wondered if God has been using Obamacare to sift the wheat from the tares. So you see, President Obama and his “predator drones” have very negative connotations, and RAND’S STAND has come amidst the news that Obama is going to Israel. Here are the twelve senators: Bob Corker (Tenn.), Kelly Ayotte (N. H.), John McCain (Ariz.), Dan Coates (Ind. ), Tom Coburn (Okla.), Mike Johanns (Neb. ), Richard Burr (N.C.), Pat Toomey (Penn. ), Ron Johnson (Wis.), John Hoeven (N. D.), Saxby Chambliss (Ga.), and Lindsey Graham (S.C.). While CNN did not refer to this dinner as the “Last Supper,” they did refer to it as “breaking bread,” which we know is what Jesus specifically mentioned at what has become known as His “Last Supper.” But not only is the Last Supper noted for laying the foundation for communion, it is also the moment when Jesus speaks of a betrayer. That there was a betrayer amongst them had not been spoken of before this moment. Interesting that President Obama chose REPUBLICAN senators to dine with him. Remember this verse? Consider the context of the dinner -- to discuss taxes. Remember the definition of a PUBLICAN? Another characteristic of the Antichrist that Daniel tells us about, besides making war with the saints, is that the Antichrist will be known as a “raiser of taxes.” A number of politicians and physicians have noted the large number of taxes raised thru Obama’s pet project Obamacare. But more importantly, Obama himself insists that he received a mandate from Americans to raise taxes because that was the platform he ran on and that’s why the people re-elected him. In addition, the sequester went into effect because, in part, Republicans would not agree to even MORE tax increases, hence the showdown. House Speaker John Boehner pointed out just prior to the sequester going into effect that the President “got his taxes” at the first of the year, it was time now to address spending cuts. Commentator Charles Krauthammer noted at the first of the year that when President Obama managed to break many Republicans away from their “no new taxes” pledge, that the President shamelessly and arrogantly took a “victory lap,” gloating how he broke the Republicans. Believe it or not, none of this definitively proves that Obama is THE Antichrist, I am contrasting some of his behaviors with Bible verses that address those very behaviors. Is Obama THE Antichrist, let’s just say that he’s not trying very hard to prove otherwise. Tom Hanks was in the movie THE DA VINCI CODE. In this movie, a false gospel is given of Jesus, and the movie uses Da Vinci’s painting of The Last Supper to advance it -- that Jesus had a wife, Mary Magdalene, and that Da Vinci supposedly “encoded” this secret in his painting. Here is the YouTube of the moment that “this truth” is revealed. Born-again believers who have accepted the salvation that Jesus offers do not believe that Jesus had a secret marriage with Mary Magdalene, or any one for that matter, and did not have any biological children. Those who reject Jesus often distort the Gospel, and this is certainly one of the ways this has been done. How curious is it then that President Obama invited TWELVE senators to his “surprise dinner date,” and that one of the twelve happens to be a woman, just like the false gospel promoted by director Ron Howard and actor Tom Hanks in The Da Vinci Code? And how curious is that while Obama is with “the twelve,” at the very same time, there is another senator very publicly standing alone and against Obama, portraying a policy of Obama’s very negatively (betraying?) and into the dark hours of the night? Still think it is unlikely that this is a rip-off of the Last Supper? Then think about this -- Obama chose to have this "dinner date" at THE JEFFERSON HOTEL and not some swanky restaurant unattached to any other business. A hotel is a place where one can eat and sleep, right? The word GUESTCHAMBER means, "an inn, a lodging place." See here. 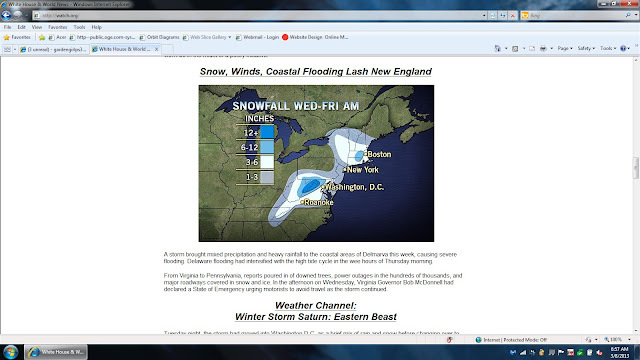 As Obama is holding his dinner date, the Weather Channel was warning the East Coast, including Washington, D.C., that the storm named SATURN (Satan) was bearing down and was already being called "The Eastern Beast." Hugo Chavez, Venezuelan president and leftie fav here in the U.S., cursed Israel on June 4, 2010. Almost a year later, on June 10, 2011, Chavez had surgery to remove an baseball-sized abscessed tumor from his pelvic region. From June 2011 forward, we begin to hear more and more news reports of Chavez's battle with cancer. Here is a timeline of the treatments and surgeries compiled by the Denver Post. If multiple surgeries isn't being literally "cut in pieces," then what is? Chavez burdened himself with Jerusalem and he did so by cursing Israel for the sake of the Palestinians. The passion, and thus the resulting cursing, of most anti-Semites is the division of Jerusalem. Koenig shows us in the above screenshot that this is clearly what Chavez did. Of equal importance to recognize is the timing of Chavez's death. 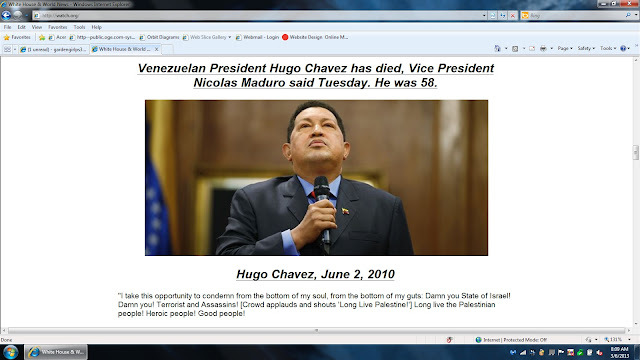 The Holy God of Israel could have required Chavez's life of him at any time, but it came on March 5, 2013. One of the most important news stories of the day was this one: OBAMA WILL VISIT ISRAEL EVEN IF NO COALITION FORMED. Just a few days ago it appeared that a caveat had appeared that Obama would not go if there was no government in place. I wrote about it here. The most troubling sentence in this article is this one: The official said this was because Obama's intended audience during his upcoming trip is the Israeli public, not the government. This "official" is telling us that Obama isn't interest in talking with the Israeli government; instead, he is making it his business to go directly to the Israeli people with his message. Obama is discounting the Israeli government -- that's why it doesn't matter to him if there is a government in place or not, they don't really matter. Oh, but wait! Weren't we originally told that Obama was going to Israel "to listen"? Now we know that Obama's "intended audience" is the Israeli public. One doesn't go "listen" to an "intended audience," one goes to "speak" to an "intended audience." Hours after this report that Obama WILL go to Israel whether Netanyahu has formed a coalition government or not because Obama is going straight to the people anyway, Hugo Chavez dies after being literally cut to pieces for cursing Israel for not giving land to the Palestinians. Remember, unlike Obama, Chavez didn't actually go to Jerusalem and insist. What may be of additional interest are these news stories that took place yesterday. The first went completely under the radar because it didn't affect earth, but a massive CME was ejected from the sun yesterday. Suspicious Observers, in his daily brief today, noted that this CME left the sun at well over "a thousand kilometers per second," and had it hit earth it would have hit "at over 900 kilometers per second." He went on to note that "we just don't see things like this at our planet but every once in a great while, and while no one can definitively say what would have happened if it had hit earth, it's possible that this could have been 'it'." As usual, I've linked to S0 in the sidebar so you can see what he is talking about. Another news story: an unusual uptick in eqs near the NMSZ, at Greers Ferry in Arkansas. Been there many times -- quite beautiful. There have been at least 60 eqs there since the beginning of 2013, troubling enough that scientists are going to be installing additional eq monitors. There are two fracking wells in the area, but, of course, while they are the usual suspects no one wants to say they are actually the culprits. Story here. And one story that is literally on the radar is the massive snow storm that hit President Obama's stomping grounds, Chicago. Over a thousand flights were canceled, and according to the Chicago Tribune, "It's been 59 years since a March snowstorm generated as much or more snow in a single day." Story here.